Today I am grateful that gardening burns calories! I love that I am burning calories (at the rate of 280 per hour) doing something I really enjoy. My days of jumping around the gym to build up a sweat are long over and as I spend at least 6 to 8 hours a week gardening, I am getting a lot more exercise now than I was a year ago. That I am getting exercise outside in the fresh air and that I no longer need to feel guilty for not going to gym, for that I am grateful! 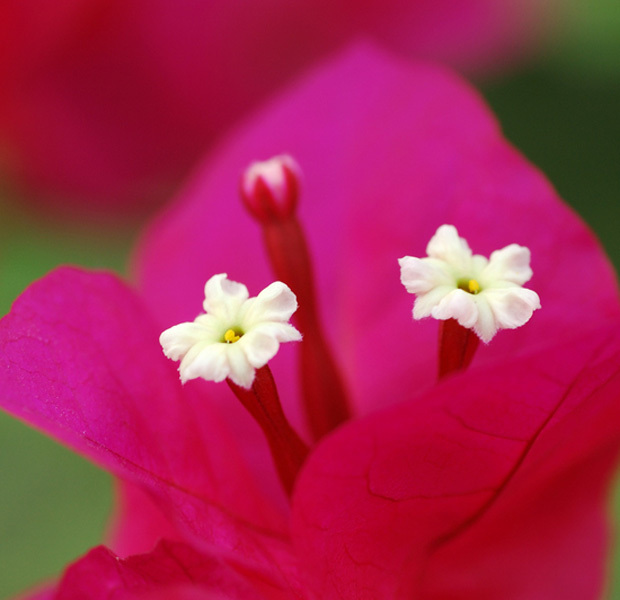 Photo: Bougainvillea: I love Bougainvillea but as they thrive on neglect, they don’t do particularly well in my garden. They are planted in my “Gardenia bed”, and are scrambling up a wall. Only the very tips are now flowering where they are exposed to lots of sun. I’d love it if they flowered more. Bougainvillea is a genus of flowering plants native to South America from Brazil west to Peru and south to southern Argentina (Chubut Province). Different authors accept between four and 18 species in the genus. They are thorny, woody vines growing anywhere from 1-12 meters tall, scrambling over other plants with their spiky thorns. The thorns are tipped with a black, waxy substance. They are evergreen where rainfall occurs all year, or deciduous if there is a dry season. The leaves are alternate, simple ovate-acuminate, 4-13 cm long and 2-6 cm broad. The actual flower of the plant is small and generally white, but each cluster of three flowers is surrounded by three or six bracts with the bright colors associated with the plant, including pink, magenta, purple, red, orange, white, or yellow. Thanks for the nice comments and encouragement Christina. I just moved my bougainvillea inside last week. It was almost 6′ tall. I’m going to blog about my procedure of moving them in and out of the house in the future. You will find it interesting. I’m even surprised they survive. 280 calories. hmm. my problem is I eat 4000…..lol. And I count carrying 10 litres of water around a ‘rose labyrinth’ as load bearing exercise, good for bones, while the dumbbells haven’t been used since we moved into the house. 280 calories an hour! Somebody tell my midsection that! what a beautiful macro….one of the perks of gardening I love is the exercise!! You’re nearly half way there, Christine! We can do this!! Your bougainvillea photographs beautifully. Yes, thankful myself that I can burn a few calories while working in the garden…the gym just doesn’t have the same appeal to me as the garden!